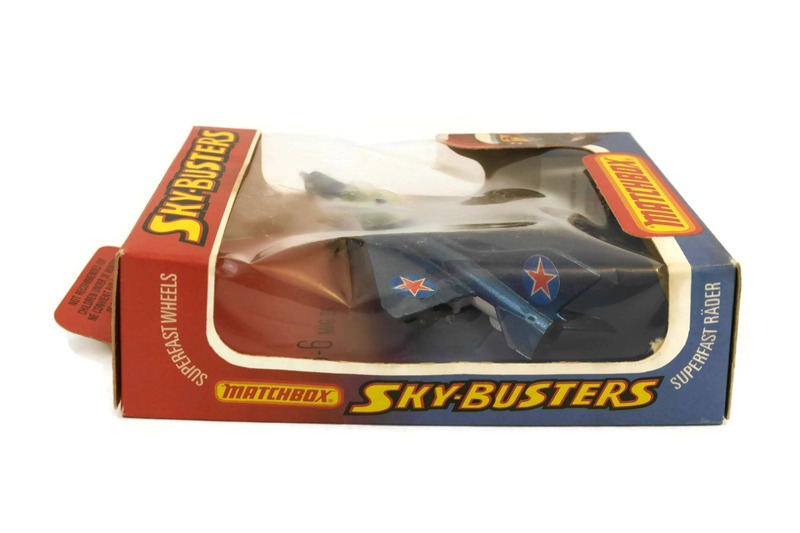 Vintage Matchbox Sky-Busters SB-6 MIG 21. 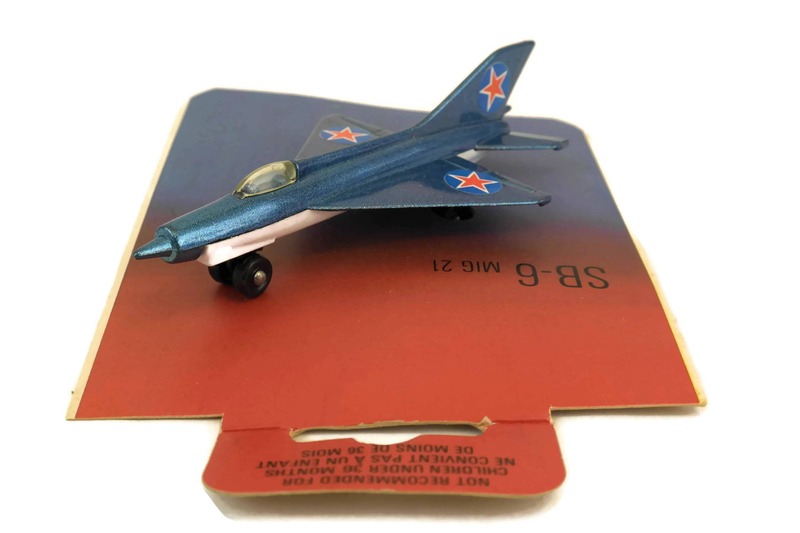 Die Cast Metal Model Airplane. 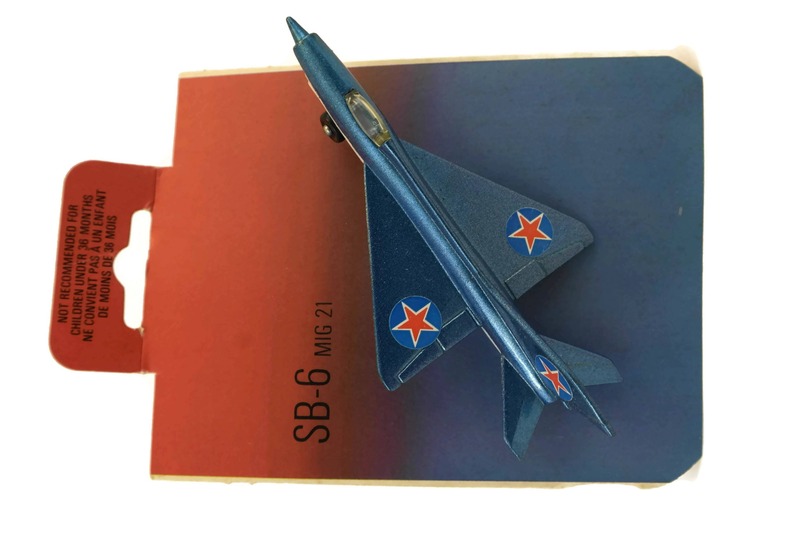 Kids Plane Toy. 1978 Lesney Products. 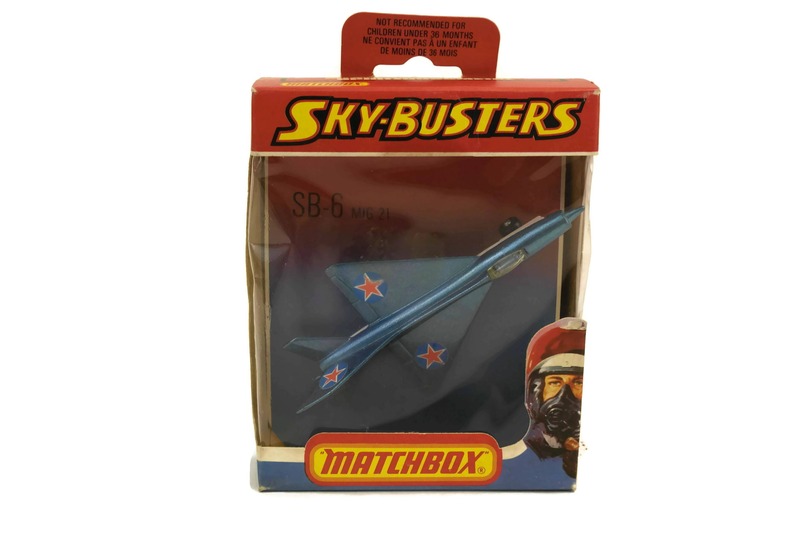 A Vintage Matchbox Sky-Busters SB-6 MIG 21. 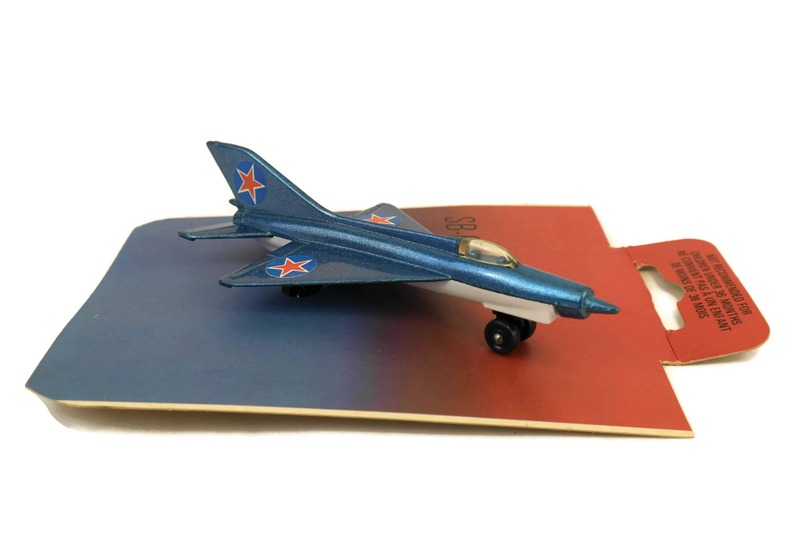 The model airplane has been die cast from metal and produced in 1978 by Lesney Products & Co., London, England. 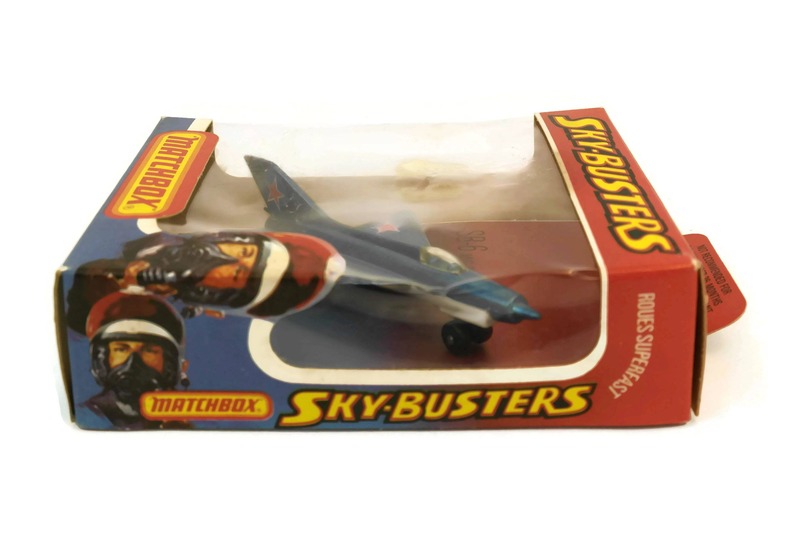 It comes with its original blister box. 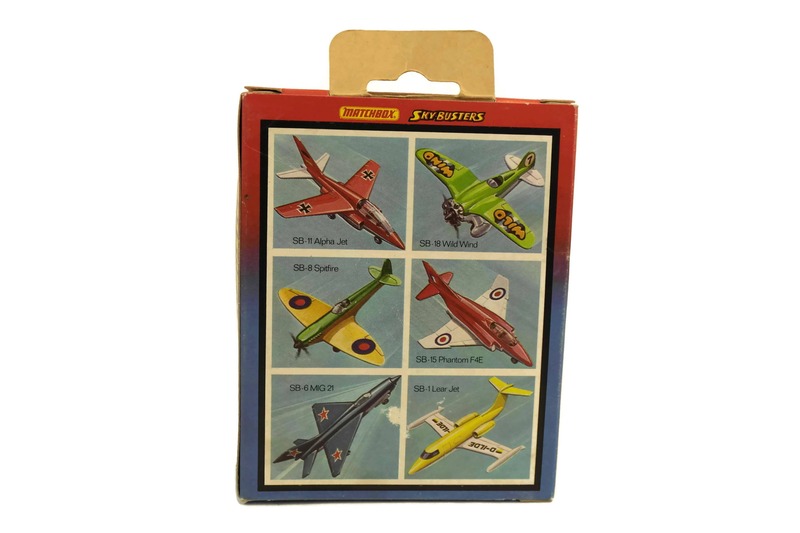 The kids plane toy will make a great addition for serious die cast collector or to any model plane collection. 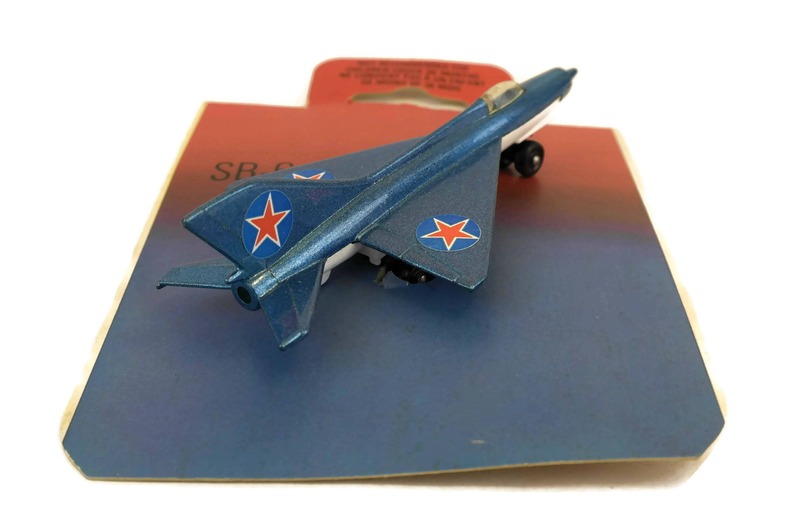 The die cast model is approximately 4 1/4" Long (11 cm). The presentation box is 4 3/4" Tall, 3 3/4" wide and 1 1/4" Deep (12,5 cm x 10 cm x 3,5 cm). 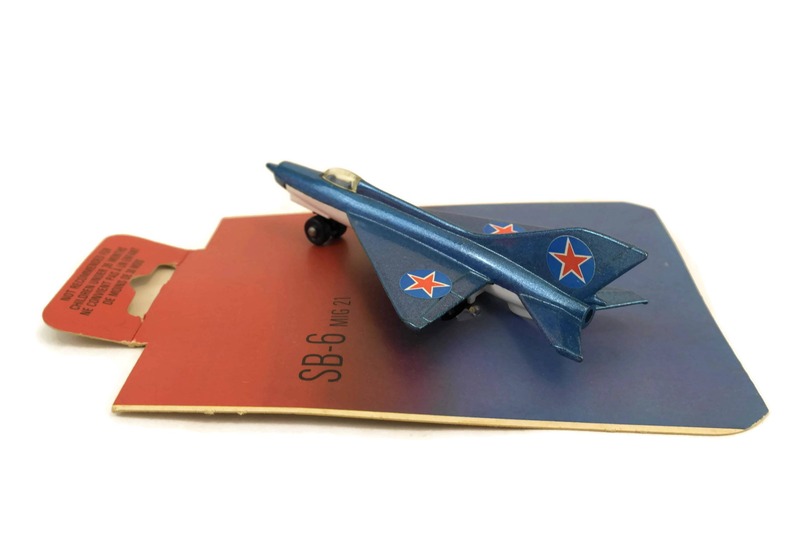 The airplane model is in perfect condition as it has never been played with. 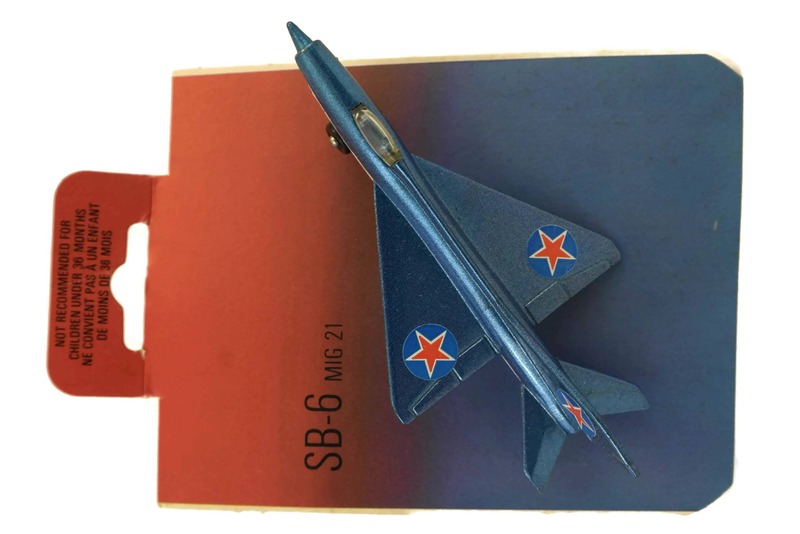 The blister box is in good condition with surface marks and light wear to the paper and plastic in places.